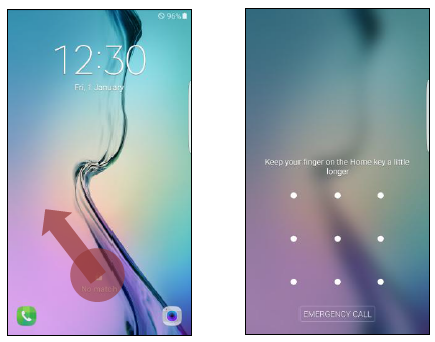 [Galaxy S7 Flat/EDGE] How to unlock if device does not recognize the fingerprint? Tap and drag the lock screen. Lock screen using PIN, Pattern or Password will be displayed. And then, input PIN, Pattern or Password which you set before. [Galaxy S7 Flat/EDGE]Must I change my lock screen as some apps require fingerprint unlock? [Galaxy S7 Flat/EDGE]Why do PIN code or password is required after fingerprint set-up?